Weird Blend Wednesday has been on an extended hiatus since February, but today I'm dusting the old feature off and bringing it back! Today I'd like to take a look at a wine from that most blendiferous of countries, Portugal. Those of you who are familiar with how I like to set up my posts may notice that the picture on the left isn't a picture of a grape. The reason for that is that I was unable to find a picture of a Vital grape and none of the images I found when searching for "weird blend" made any sense so I opted to go with a weird blender instead. 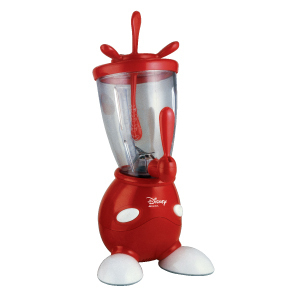 It turns out that most blenders just look like blenders and it took quite a bit of searching to find that Mickey Mouse inspired one, so please enjoy both it and the feature that no one has been clamoring for, Weird Blend Wednesday! Today's weird blend is made from two grapes we've already taken a look at and one grape that's new to us. 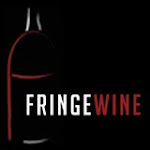 We took a look at Fernão Pires, aka Maria Gomes, back in March and readers interested in more about that grape should check out this post. A few days earlier, we took a look at the Arinto de Bucelas grape and spent quite a bit of time sussing out just what Arinto is. Interested readers can read all about that grape and the Bucelas region where it is cultivated in this post. Which brings us to the third grape, our new friend Vital. It's no accident that I wasn't able to find any pictures of Vital since it has the unfortunate double-whammy of not only not being a featured grape anywhere and thus not demanding a lot of attention, but it also has a name that is a common English word which makes Google searches very frustrating and borderline useless. Nearly every result that did pop up from various combinations of "Vital," "grape," "Portugal," and "wine" was little more than a passing reference within a longer article about a particular region in Portugal (saying things like "Vital is grown in Estremadura," for example). Wikipedia has no entry for the grape and the Oxford Companion to Wine's entry reads in full: "white grape grown in Estremadura in western Portugal which is known as Malvasia Corada in the Douro." I did find this page, but as you can see, it's in Portuguese which is not a language that I'm fluent in (for those of you keeping track, English is the only language I am fluent in and I'm properly ashamed of that fact). Running that page through Google Translate gives little bits of information about Vital's behavior in the vineyard, but little else. It turns out that Vital is a vigorous vine that is prone to rot and which is capable of reaching high sugar levels in the vineyard (and thus high alcohol levels in the winery). It is called Boal Bonifacio in some regions, though it is distinct from the Bual (or Boal) of Madeira. It is also called Malvasia Corada in some places and Malvasia Fina or Malvasia Fina de Douro in others, and while it may be related to those grapes (distantly, if at all), it is definitely a distinct variety. One research group (citation below) has shown that there is a bit of genetic overlap between Vital, Malvasia Fina and Bual, but not enough to establish any kind of a direct familial relation. Another group has shown that Vital and Fernão Pires share some genetic similarities, but again, not enough to establish a specific relationship. And that's pretty much all there is about Vital. The region that this wine is from is called Lisboa, which used to be known as Estremadura (the change happened in 2009 because of a fear of confusion with the Spanish region called Extremadura). It's on the western coast of Portugal and encompasses the large peninsula where the capital city of Lisbon sits and the area between the Atlantic ocean on the west and the Tagus River on the east (it's the upper area in black on this map). Lisboa is a Vinho Regional which in the Portuguese classification system is similar to the Vin de Pays of France or the IGT of Italy. There are nine smaller DOC regions within Lisboa, one of which is our old friend Bucelas. The region is generally cooler and wetter than some of the other areas of Portugal due to its proximity to the Atlantic Ocean and the lack of any mountains or hills to block the cool sea breezes. The temperatures do rise and the moisture drops as you move inland, but this is mostly white wine country. The wine that I tried was the 2009 Quinta Cerejeiras which I picked up from my friends at Bin Ends for about $7. In the glass this wine was a light silvery lemon color. The nose was very aromatic and very citrusy with ripe pear, lemon peel and lemon juice. On the palate it was on the fuller side of medium with fairly high acidity. There were lemony citrus flavors with pineapple, ripe pear and green apple notes as well with just a hint of banana. The finish was mostly clean and minerally but there was a slightly bitter pithy note to it. I was expecting something lightweight and crisp but this wine had a lot more body and weight than I would have guessed. It was still bright and lively with very nice balance but it's not exactly the porch-sipper that I thought I was signing up for. It is a very good value at only $7 a bottle and would be an excellent match for creamy chicken or pork or for richer fish dishes like salmon or tuna. We've just returned from a week's holiday in southern Portugal where I happily trekked through multiple shops searching for unusual grapes. I was thrilled to discover an extremely knowledgeable merchant, "Daniel", at the Baptista shop in Praia da Luz. He was a tremendous help in identifying the synonyms of various grapes and helping me identify interesting new wines for us to enjoy, not only in the Algarve, but also when we return home. I am now a fan of white port over ice as an afternoon aperitif! Thanks for helping us understand the fascinating world of viniculture!